[toc]A runny nose results from the overproduction of mucus and it can be an irritating and frustrating problem to face. Some of the common medications for this condition result in adverse side effects and herbal remedies can be used instead as these ensure that a person is able to get well without additional problems. You should ensure that you consult a medical practitioner before turning to herbal remedies. Some of the herbs which cure a runny nose are Echinacea, Borage, Thyme, Myrrh, Ephedra and Elderberry. Herbal remedies offer quick relief and ensure that you are rid of the problem in very little time. 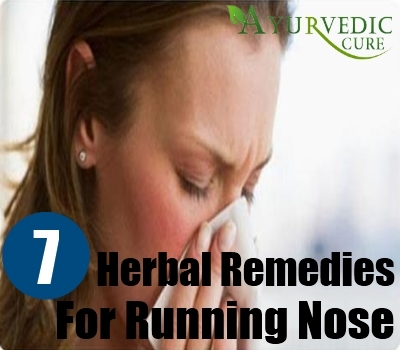 This article covers some of the top herbal remedies for a runny nose. 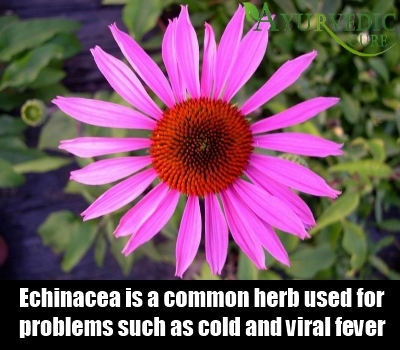 Echinacea is a common herb used for managing conditions such as cold and viral fever. It is also very useful in alleviating a runny nose. You can drink Echinacea tea twice or thrice in a day for benefits. This helpful herb eases congestion and overproduction of mucus. It is very effective in giving instant relief. Echinacea also known as Purple Cone Flower is a North American herb and it is very effective in stimulating the immunity system of the body. It helps to combat many diseases and infections including a runny nose because it helps to increase the ability of the body to fight infection. Elderberry tea can be used to overcome a runny nose. This helps to give relief because elderberry is cures the underlying cold or infection which may be causing the runny nose. This herb also helps the body to get rid of excess fluids in the body such as mucus, besides halting mucus overproduction. Elderberry juice is an old cure for flu epidemics. Elderberries contain anti oxidants, tannins and flavanoids. The flavanoid in the Elderberry is what accounts for its curative powers. 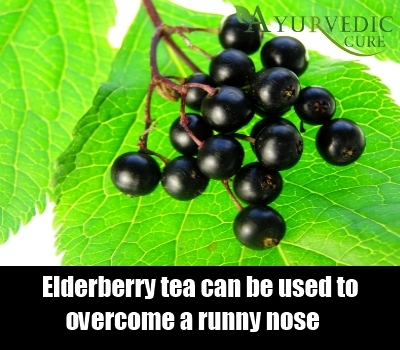 You can also add Elderberry to hot water and inhale its steam for relief from a runny nose. You can also use Thyme to cure a runny nose. 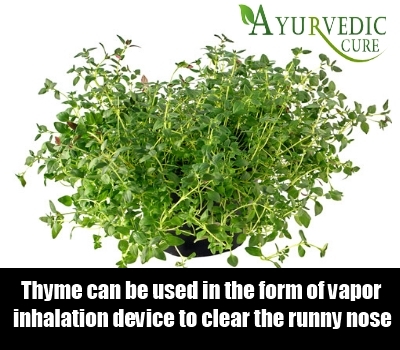 Thyme can be used in the form of vapor in an inhalation device to clear the runny nose. You can also use crushed Thyme leaves in a herbal tea thrice a day to help cure a runny nose. Due to certain properties it possesses, Thyme is the ideal herb for dealing with a runny nose. A delicate herb with a pleasant fragrance, it has a long history of being used as a herbal cure for upper respiratory tract infections and diseases. 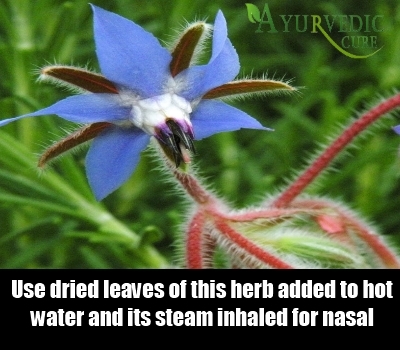 It has been used for clearing congestion in the chest, nose and throat. Thyme posses anti bacterial properties because of which it is very effective in curing infections underlying a runny nose. Borage or starflower can also cure a runny nose. Borage effectively eases the congestion characteristic of a runny nose. You can use Borage in the form of supplements for this purpose. Borage is native to the Mediterranean region and it is a very good herb for curing chest and nose infections. The dried leaves of this herb can be added to hot water and its steam inhaled for the purpose of clearing the nasal passageways. It is very helpful in easing the problem of a runny nose. 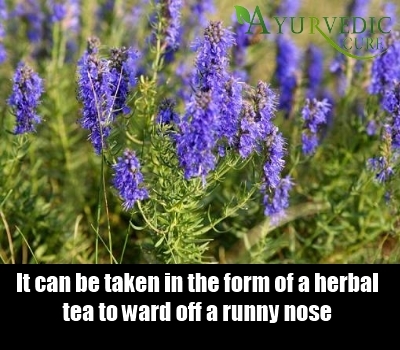 Hyssop is a good herb for runny noses. It cures upper respiratory tract infections, colds and influenza which may be the underlying cause of the runny nose. Thus, it can be had in the form of a herbal tea to ward off a runny nose. Native Europe and the Middle East, this herb has the power to suppress coughs and infections. It also acts as an expectorant and it contains thujone which gives this herb antiseptic properties. Thus it not only increases the ability of the body to fight off infections, it also eases the soreness of a runny nose. Barberry root is also good for runny noses. This is because it reduces the duration of the infection causing the runny nose. It can be crushed and made into a tea which you must consume 2 to 3 times in a day for good results. 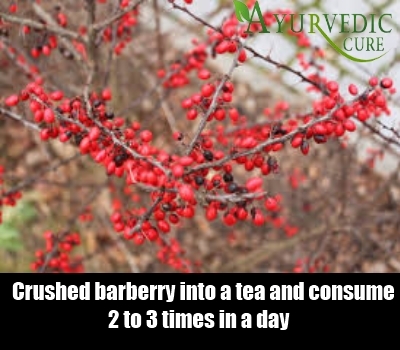 Barberry is a very effective cure for enhancing the immunity of the body. It helps the body to ward off infections. It is a good cure for runny noses. It ensures that the infection underlying the runny nose is cured. Myrrh helps to overcome the soreness associated with a runny nose. It can be crushed and added to hot water. You can strain the liquid and then consume it for maximum benefit. 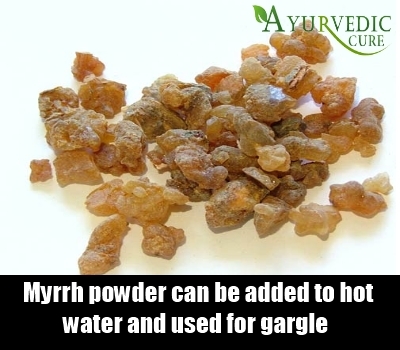 Myrrh powder can also be added to hot water and used for gargle. Myrrh is anti bacterial in nature. This ensures that it is an effective cure for a runny nose. This is because it kills the bacteria and germs causing the runny nose. Myrrh is a very good herbal remedy for a runny nose.